Today I thought I would share my favourite reads of the year - the books that had me enthralled from beginning to end and that have me anticipating the next book from that author! Over the weekend I will have some stats about my reading year in 2011, how I went achieving my reading resolutions for this year and my reading resolutions and most anticipated reads of 2012! The Last Letter from your Lover by Jojo Moyes - A few years ago I read The Ship of Brides by Jojo Moyes and really liked it. I had meant to read more from her but didn't actually do so until I read this book this year and really loved it! 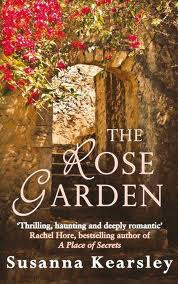 I wouldn't have thought that I would enjoy a book where infidelity played such a central role but the story was handled so beautifully. I just learned on Twitter last night that Moyes has another new book out now so I had to request it straight away! 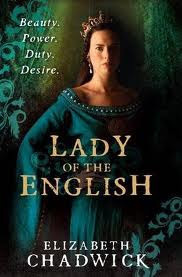 Lady of the English by Elizabeth Chadwick - Elizabeth Chadwick is one of my favourite authors, so it isn't a surprise to see her appear on a best of list, but I do think that she is getting better and better! This book is about the war between Empress Matilda and her cousin Stephen, but it is also about so much more. No one brings medieval times to life like Elizabeth Chadwick. One of the not so great things about 2012 is that there isn't going to be a new Chadwick book. We have to wait until 2013 for the first book in her Eleanor of Aquitaine trilogy. 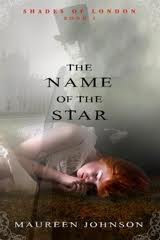 The Name of the Star by Maureen Johnson - Before I read this book I had only read one book by Maureen Johnson and had thought it was okay, but didn't get the fuss. After reading this book, I got it. I really did! This book is set in contemporary London but the events surrounding Jack the Ripper heavily influence the plot. Oh so good! To celebrate the paperback release of A Discovery of Witches, I am thrilled to be able to offer a giveaway copy of this book! And even better, the giveaway is open worldwide! The paperback is lovely with a picture of the Oxford sky line down the spine. To enter, please complete this short form by clicking on the link below! Good luck! The giveaway closes on 8 January 2012! Thanks to Penguin for the giveaway copy. To whet your appetite, here is a video of author Deborah Harkness doing a walking tour of Oxford, which is where the beginning parts of the book are set. Interesting selection. I am just now getting caught up on the last books I have read this year. I don't read much vampires, etc. but the book set in London during the Jack the Ripper times sounds interesting to me. I love to see what others are reading. A really intriguing list, Marg! I've been wanting to read Anna and the French Kiss since you reviewed it and I'm now even more convinced that I must. And though I enjoy Elizabeth Chadwick's books when I come across them, I don't usually search them out so had no idea Lady of the English was about the war between Matilda and Stephen - one of my favourite topics when I was a teenager! I'll certainly be trying to track that one down too. May your reading in 2012 be just as successful! A Discovery of Witches has come up again and again, a sure sign that I should read it. So I'm in. A Discovery of Witches is on my list too! Great minds think alike! A lot of these look like great reads, so I hope you won't mind if I build a little list of my own based on your recommendations, and get to reading! I'm glad I got copies of The Name of the Star and A Discovery of Witches! I've never read Elizabeth Chadwick, Susanna Kearsley or heard of Jojo Moyes. People to look into! Cheers Marg, and hope you have a great New Year! Great choices!! I have several of them on my shelves!! I loved The Rose Garden, too. It's my favorite by her so far, and it made me (yes, made me) go and order three more of her books. Do I save them and ration later or gulp them now! I also really enjoyed Jojo Moyes' book! I'm just about to order The Name of the Star from Amazon, from my Christmas gift card. Yours is the second or third best-of list to feature it, and it sounds so good - I can't believe I didn't hear of it before, since it's something I'd read immediately! 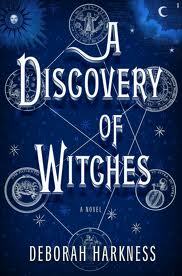 I also want to read The Discovery of Witches, so I"m entering your contest. Thanks so much, Marg. Happy 2012 to you, and happy reading! 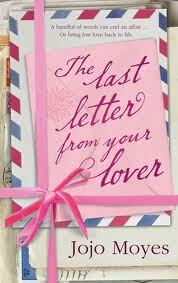 I loved The Last Letter From Your Lover too - definitely one of my favourites for the year. And as a bonus, I'm suggesting books for each blogger based on their list of 2011 favorites. You're invited to add a link to your list post if you're interested. You do love Kearsley's work for sure! Sherry, thanks for letting me know. I have added my link. Sam, wasn't it great. I am so excited at the prospect of a new book from Jojo Moyes. Susan, hope you like Name of the Star and good luck in the contest. Danielle, I don't know what the answer is. There's something good about savouring an author's books who you love reading, but then again that desire to just inhale them can be pretty strong too. Shannon, you have lots of fun reads in front of you! Happy New Year! Zibilee, I don't mind at all! Sean, I will be interested to see what you think if you do read it. Claire, Anna is a YA book I would happily recommend even to people who don't normally read YA! Elizabeth Chadwick's books are just getting better and better. Aarti, happy new year my friend! Must be nearly time for a Gmail chat, or maybe skype or something! Peppermint, I hope you do read it, because it was a really fun read! Pat, thanks for stopping by!